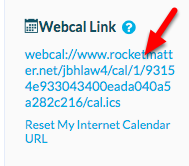 Rocket Matter Knowledge Base CalendarHow to activate a one-way calendar feed. 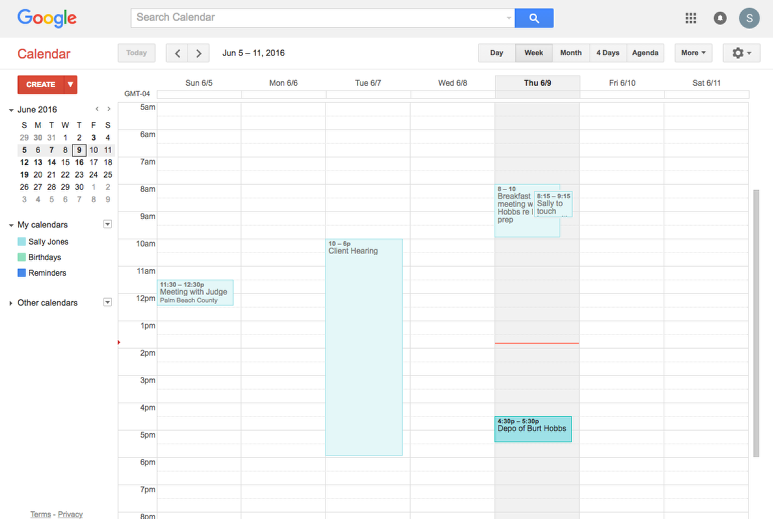 The Rocket Matter calendar can be 'fed' into any calendar that accepts .ics feeds. 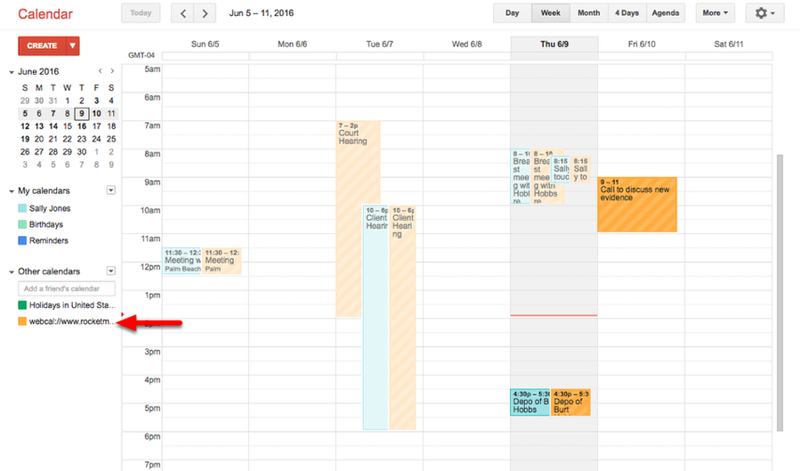 This is a one-way sync, where all your Rocket Matter calendar events are shared with an external calendar. 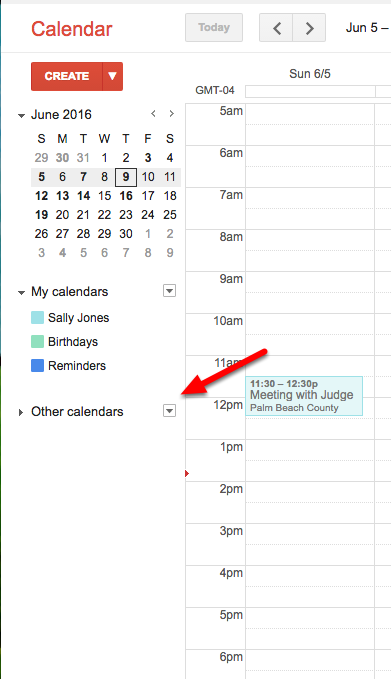 Not calendar events are synced back into Rocket Matter in a 1-way sync. 1. Navigate to Settings, and click on "Manage Users". 2. Click on your User name. 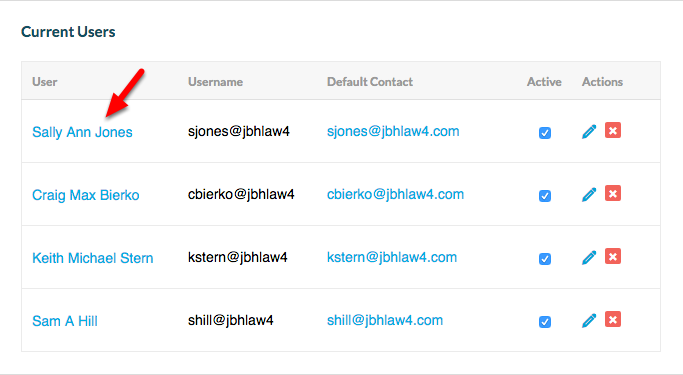 You can also access your Edit User page by clicking directly on "My Account" from your left hand Navigation Panel. 3. 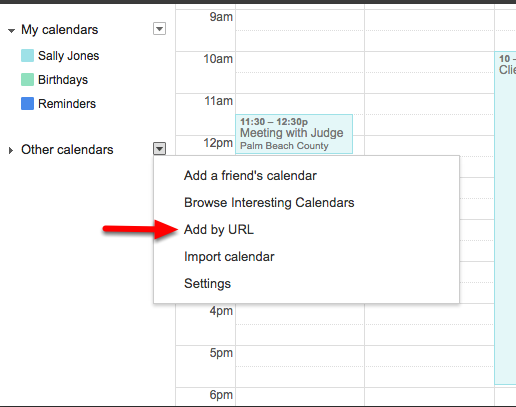 Capture your "Webcal Link" so you can paste/feed it into your External Calendar. Each Calendar program (i.e. Google Calendar, iCal) accepts external Calendar links from their unique location. 1. 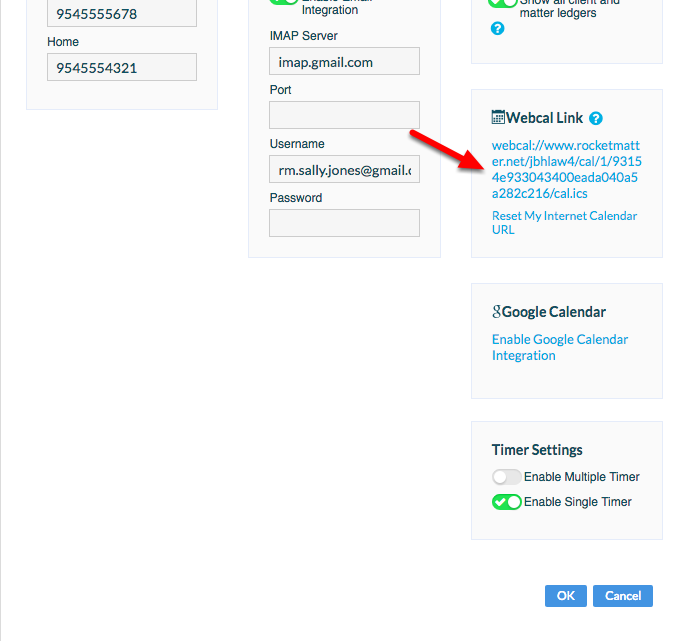 Sometimes, simply clicking the "Webcal Link" will automatically prompt your computer to set up the calendar feed. If this occurs, simply walk through the system prompts to enable the feed. 2. If your computer doesn't automatically prompt you to set up the calendar feed, then copy the calendar link, so you can navigate to your external calendar program, and insert it into the appropriate location. Right clicking the .ics lin will often allow you to copy the link. c. Click on the 'carat' next to Other Calendars. c. Click "add by URL". e. Paste the .ics calendar link, and click "Add Calendar". 4. 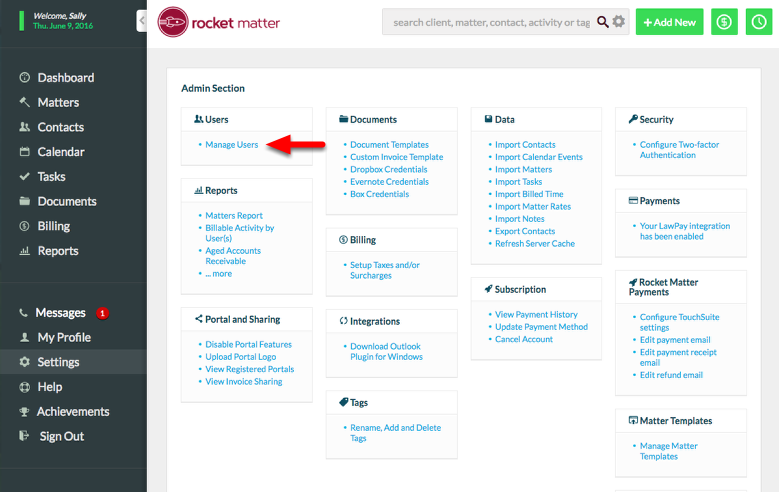 Your Rocket Matter Calendar feed is now set up! Zoom: 4. &nbsp;Your Rocket Matter Calendar feed is now set up! 2. Create a test event on the Rocket Matter side to test the integration.